Posted in Mainstream Polish	by Jessica W.
Updated picture at the end of post! Hey everyone! 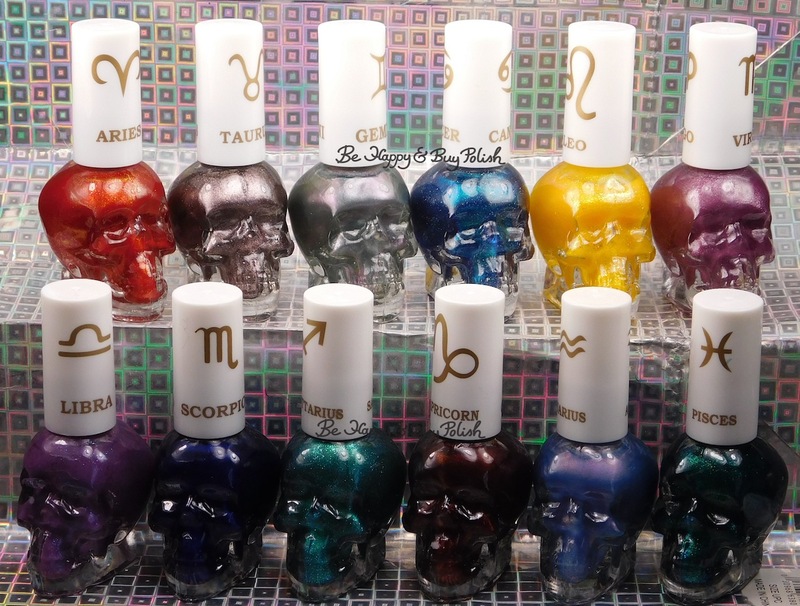 This is just a quick post to show you the Zodiac nail polish collection from Blackheart Beauty that I picked up last night from my local Hot Topic. They had all of them except for Sagittarius. (I’ll update this post if I ever find it.) I’ll be swatching these next week but for now let me know which is catching your eye! 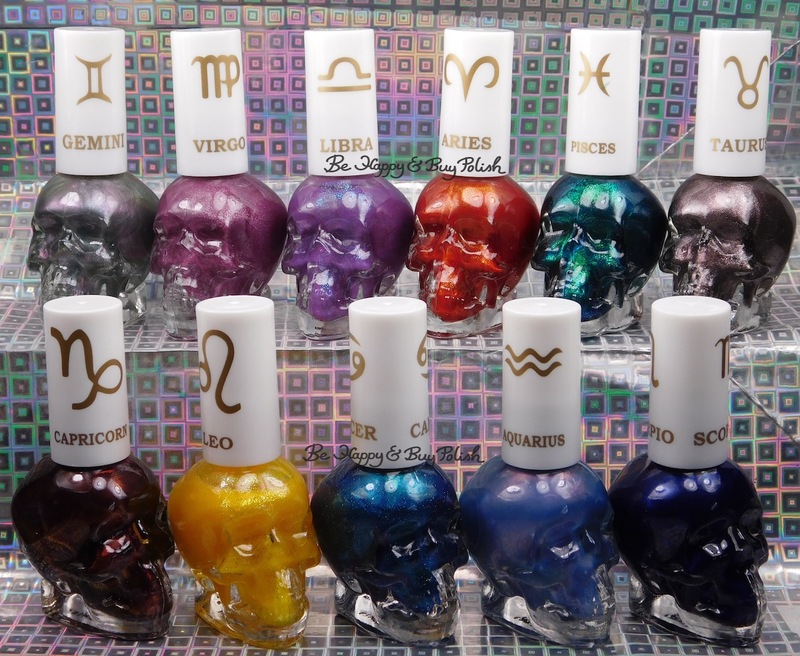 My top picks that I can’t wait to see on are: Libra, Pisces, Capricorn, Cancer. Update: here are all 12 of them! « Marbled nail art with new Sinful Colors nail polishes plus swatches! These look fun but the bottle shape is making me twitch. lol I think the organized part of me wants to see them all square or round…every other shade is like…please no!! I am a virgo/libra so I’m excited to see those. The bottle shape is fun but yeah the organizational part of me hates it.